Size 4/6 - $24.99 Only 1 left! Half dinosaur, half truck... and all fun! If your child is all about Dinotrux, make sure they have one of the hottest new looks when they go as Revitt the Reptool! This fun character is a mashup of a heavy duty construction vehicle and a prehistoric dinosaur, and the results are 100% awesomeness. If you child has been watching the hit Netflix animated series, then he knows that Revitt is always ready to team up with Ty Rux the Tyrannosaurus Trux to help stop the D-Structs from destroying everything they build! 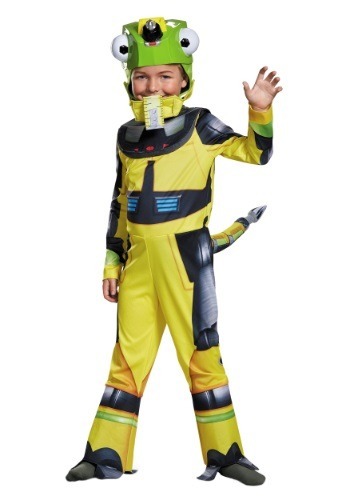 You can use this terrific children's costume as part of a group theme by coordinating your child's look with his siblings or friends. Just imagine how proud he is going to be when he gets to strut down the neighborhood street alongside Dozer, Ton-Ton, Skya and Garby. Whether your boy just wants to make sure his trick or treat bag is stuffed to the max, or if he wants to have some playtime building and dino-constructing (and fending off the threat of the D-Structs!) 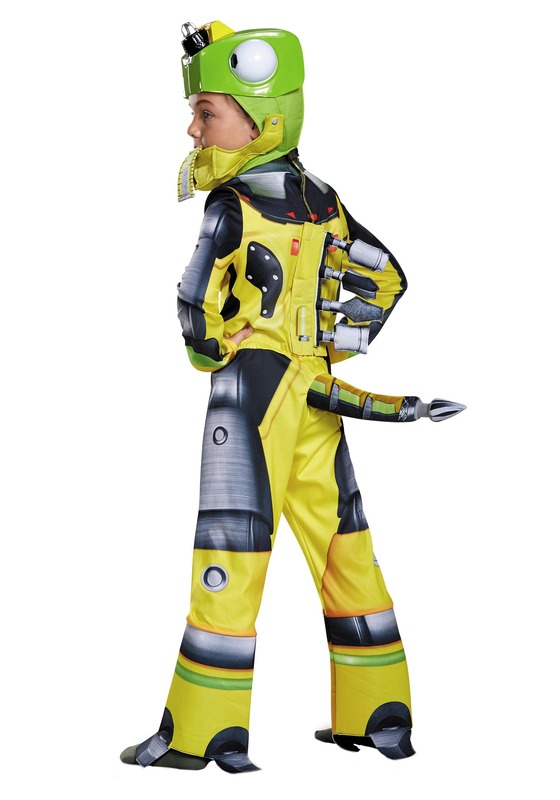 he's going to have a terrific time in this officially licensed costume!